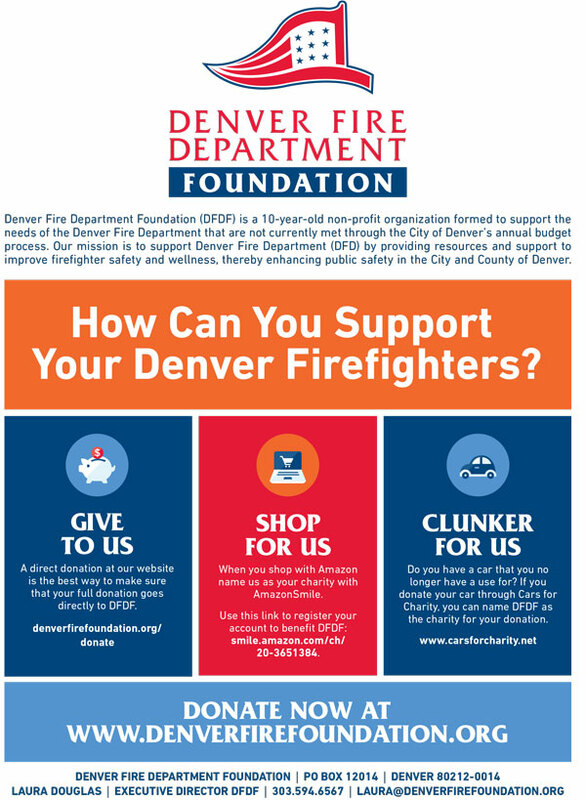 The mission of the Denver Fire Department Foundation is to support Denver Fire Department by providing public education, through efforts to improve firefighter safety and quality of life, and with direct resources to meet firefighter needs thereby improving public safety in the City and County of Denver. ACCOMPLISHMENTS — A few notable achievements over the years. CURRENT INITIATIVES — Ongoing activities dedicated to supporting the Denver Fire Department. GOALS — Things we strive to accomplish.